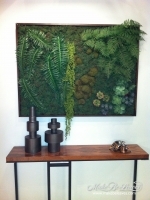 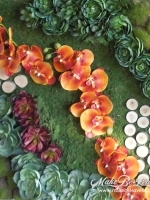 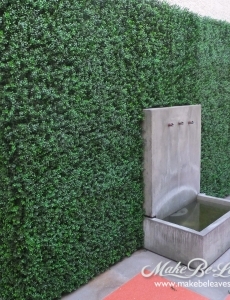 Designer artificial greenery such as these examples improve LEED ratings because they eliminate water and energy use. 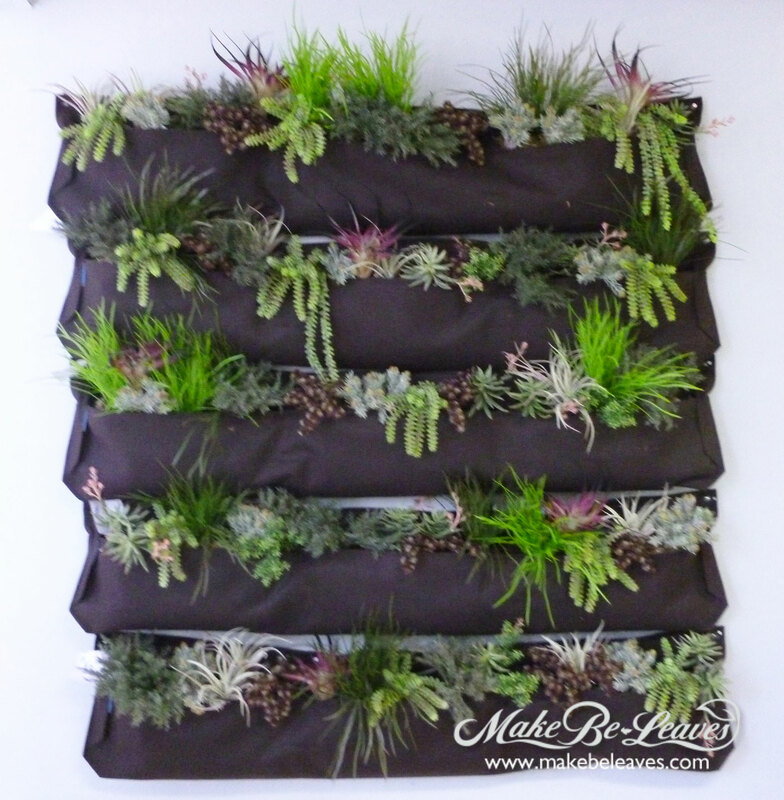 Carefree they are perfect for hiding unattractive air conditioners, equipment or sprucing up boring concrete walls. 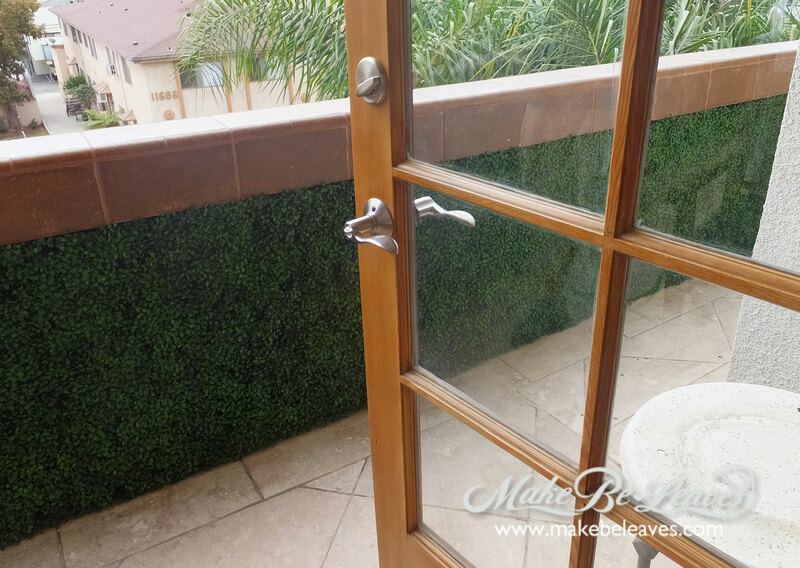 Make Be-Leaves transforms your stark or unattractive walls into a beautiful, garden-like living space – simply elegant, long-lasting lush faux foliage! 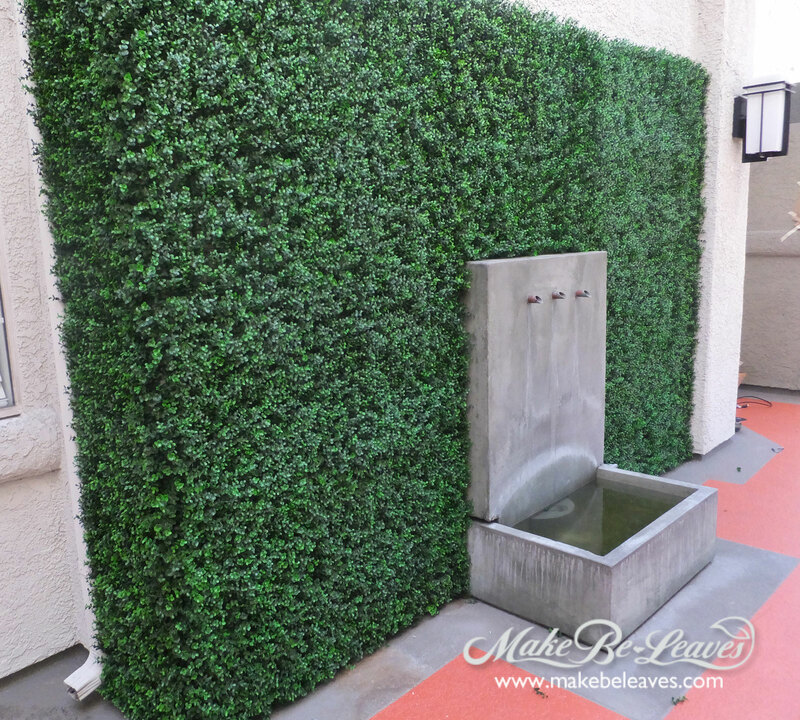 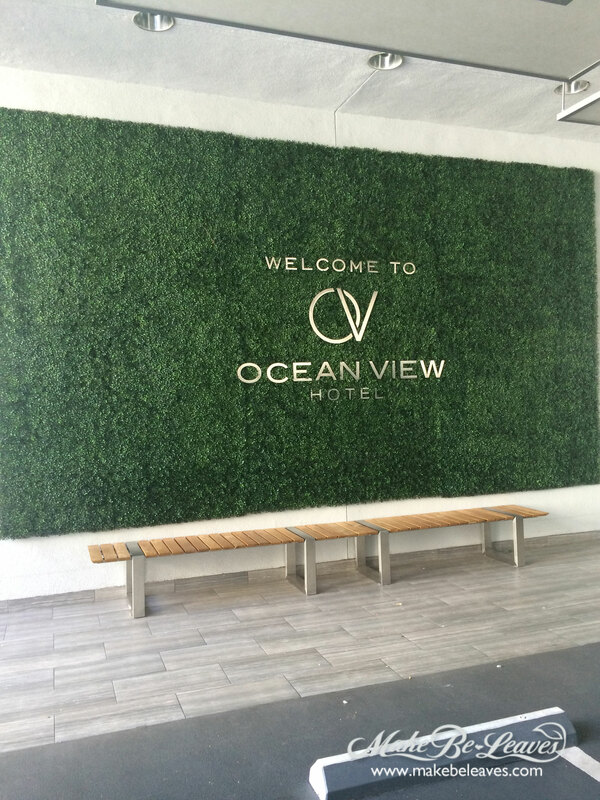 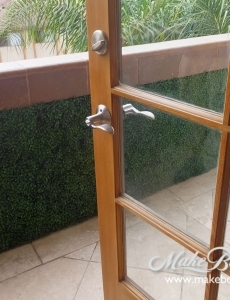 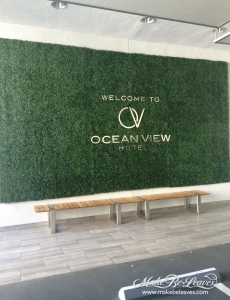 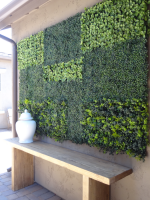 Our custom UV exterior faux living wall plantings are constructed on metal mesh backing, which can easily be attached to any type of wall. Choose from the elegant boxwood, geometric patterns or more fluid forms to create your designer wall. 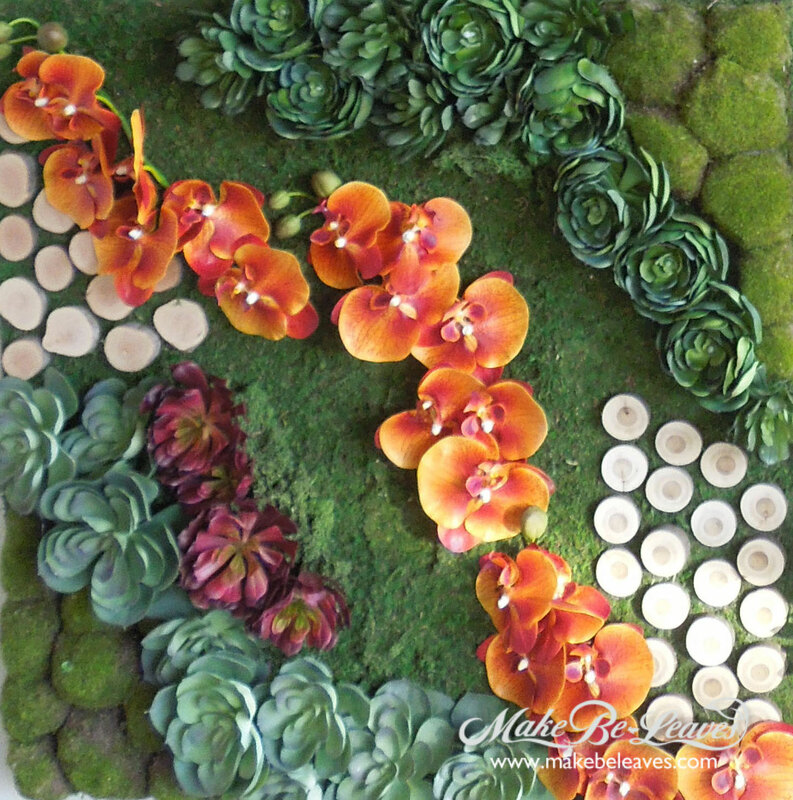 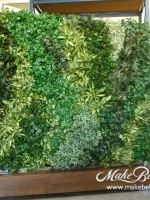 Fill entire walls, or create panels, creating wall art pieces. 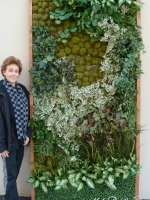 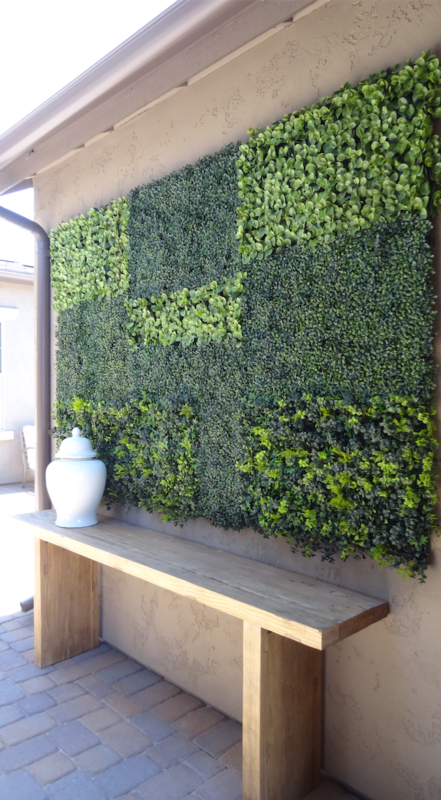 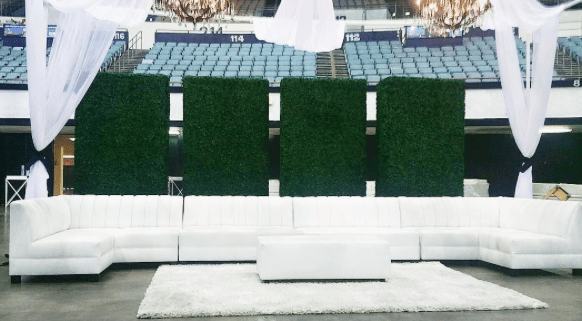 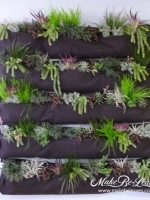 Artificial wall plantings can be designed as framed pieces, panels constructed to fit into existing wall areas, or designed as tiered plantings of trailing greenery. 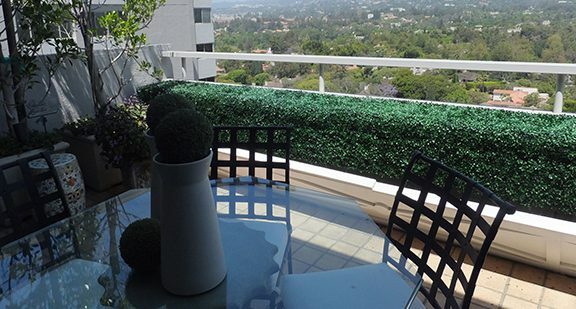 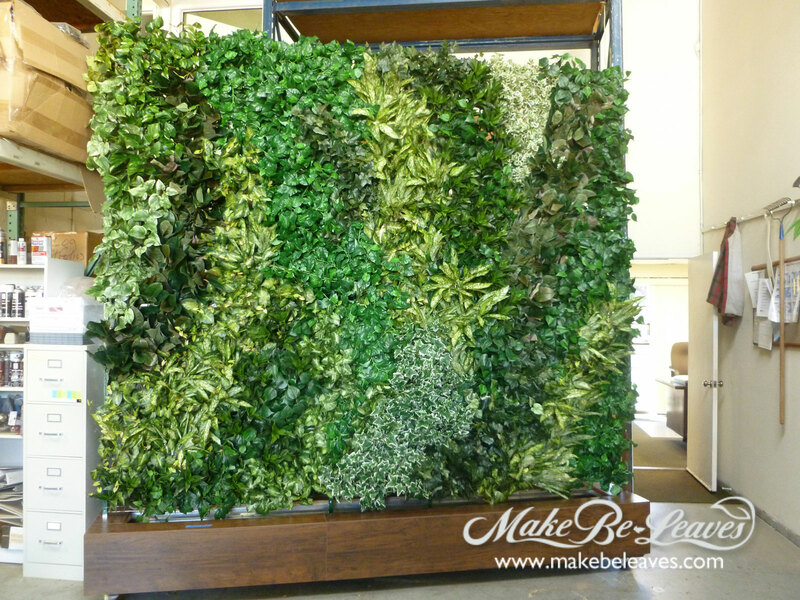 We create lush faux living walls for hotels, commercial buildings, and hospitals to residential penthouse balconies. 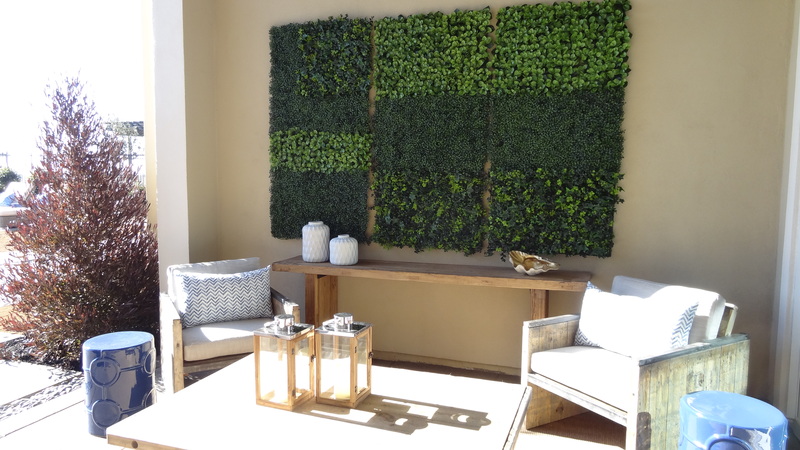 It never ceases to amaze me what a huge difference they bring into the space – and it is thrilling to receive such positive feedback from our customers. 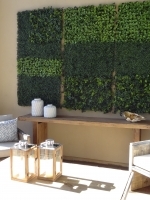 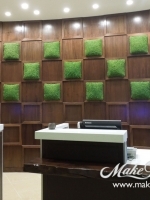 Our fabulous custom faux living walls create instant, lush green walls which provide a warm inviting environment – without taking up any floor space, nor any need for planters. 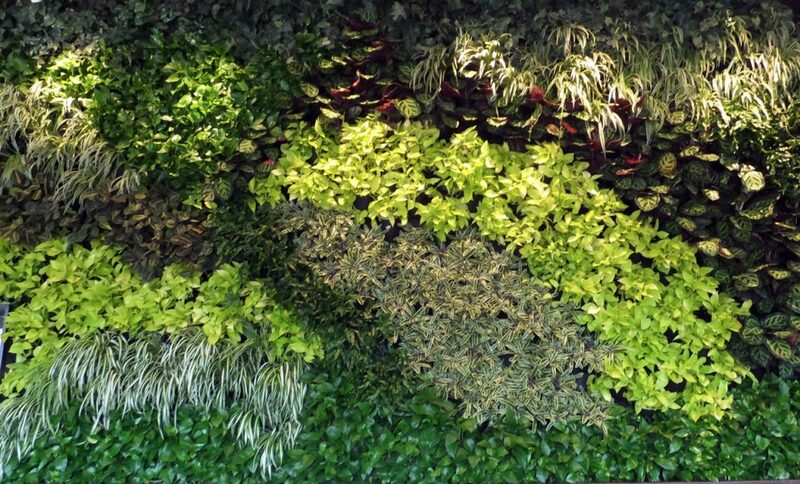 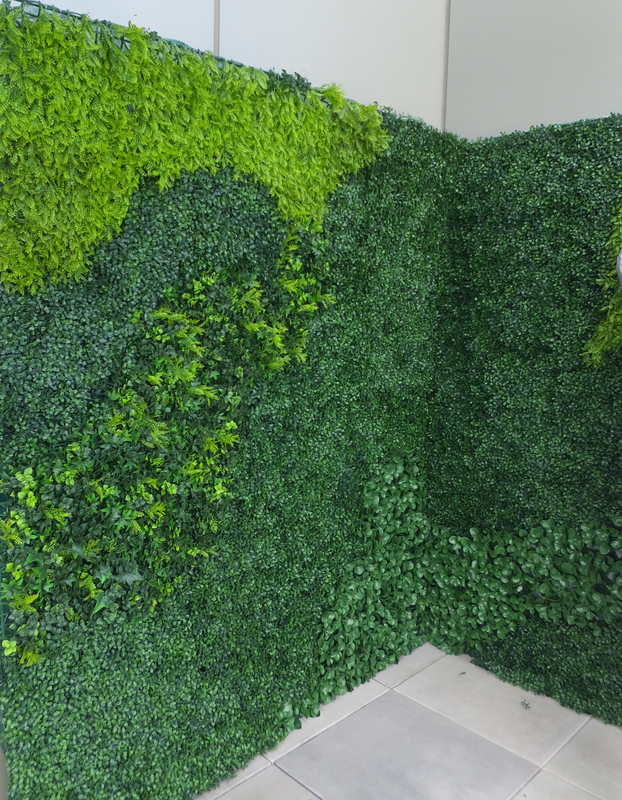 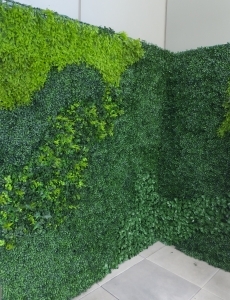 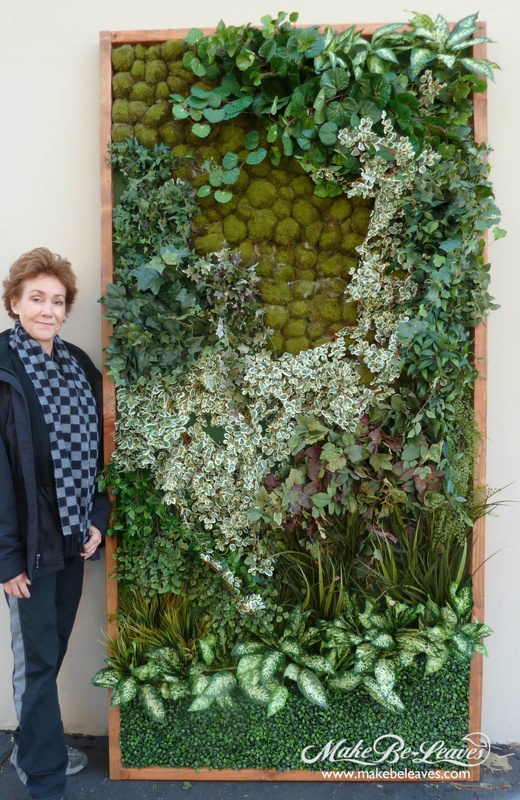 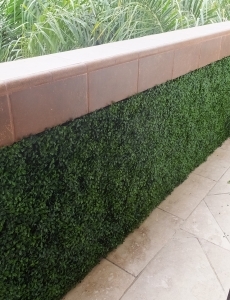 Unlike real living walls, which require intricate irrigation systems, on-going replacement of plants, and potential watering issues – our faux living walls are maintenance-free. 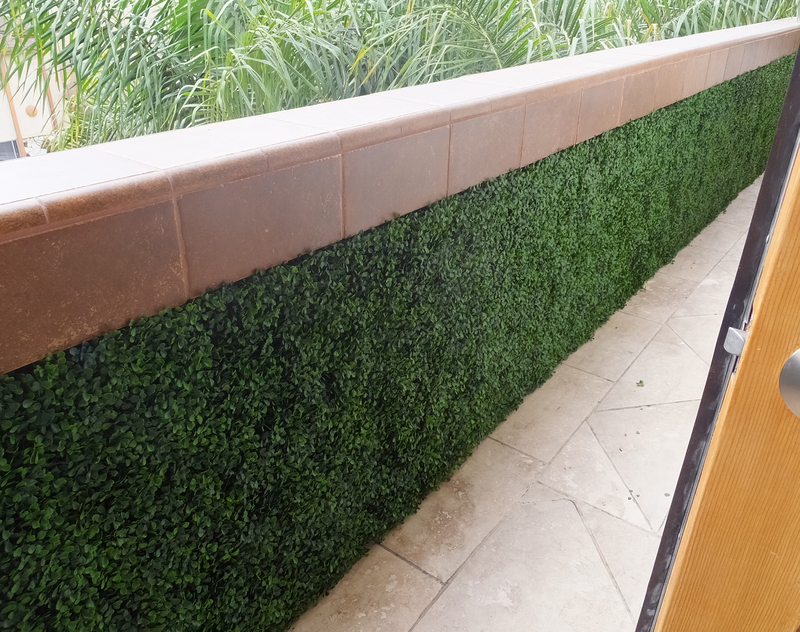 We work on a diverse variety of projects creating faux living walls – from hotels, commercial buildings, and hospitals to residential penthouse balconies. 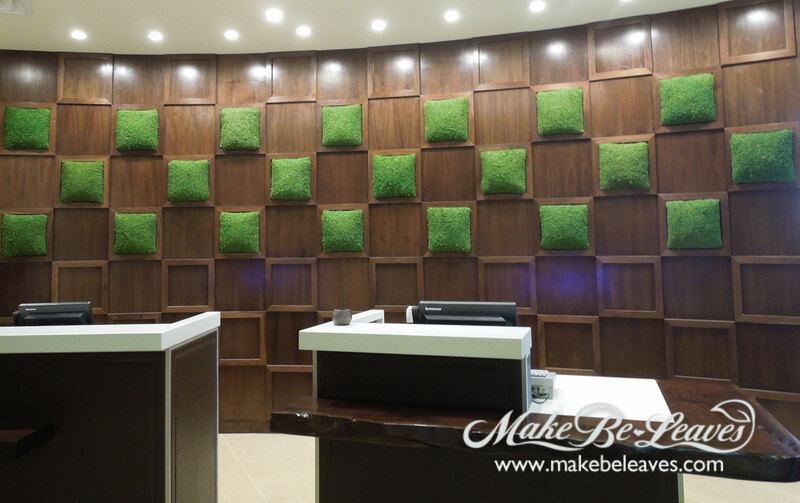 And it never ceases to amaze me what a huge difference the greenery brings to the space – and thrilling to receive such positive feedback from our customers.